After a year or two of laying low, the Obamas have burst back into the spotlight this last month. Barack scored lots of attention for his campaigning for Democrat candidates in the mid-terms. But now, it’s Michelle’s turn. 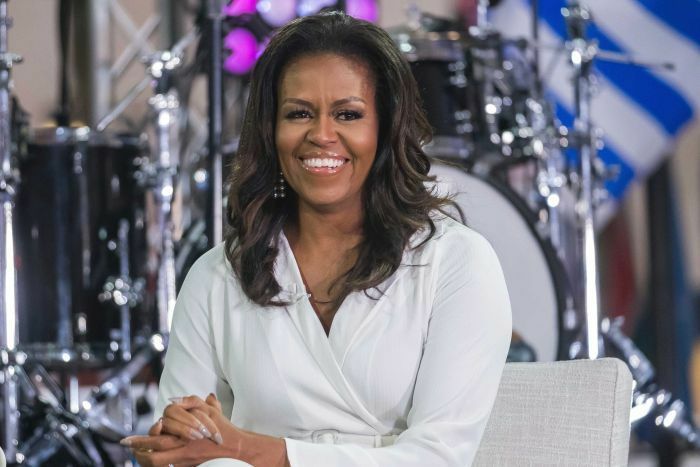 Her new book, Becoming, has been an instant hit, selling 725,000 copies in its first day on sale. It’s since become the number one book by sales in the United States during 2018, with more than two million copies sold. Her arena tour, planned in cities in North America as well as Europe, has often sold out, and she’s made headlines, both with her events and the book’s intimate revelations. Ms Obama and I come from the same generation, and later we lived about six blocks from each other in the same Chicago neighbourhood. I used to take guests on a walking tour that included “Casa Obama,” as we called it, where good natured guards allowed us to saunter by. So, it’s interesting for me to hear her observations of what it’s like to be a successful black woman in the first generation after the Civil Rights Movement. 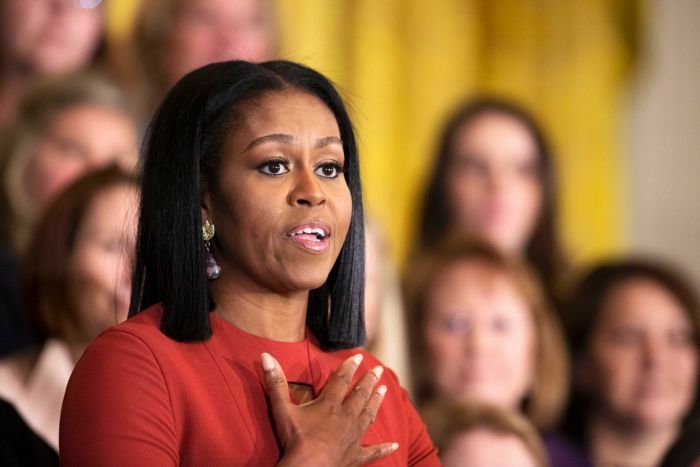 In America, a favoured political phrase is: “They never forgot where they came from.” For all her glamour as First Lady, and her collegiate and business world success, Ms Obama is justifiably proud of her working class Chicago upbringing. While her parents were not well-off, they pushed Ms Obama and her brother to succeed, just like other parents of their era. In fact, my friends say this section of her book is more interesting than the last quarter, which focuses on the campaign and the White House. But that’s fascinating, too. Ms Obama writes about criticism that she came off as an “angry black woman”, and that campaign aides finally taught her how to adjust her speaking style to be less strident. That advice came a year into Mr Obama’s campaign, and she wonders why nobody brought it up with her before. Reading her observations, I wonder if they weren’t just a little bit scared of her. Basically, anything that was said about her she responds to in Becoming. This weekend, the former US First Lady made people laugh and raised eyebrows in Silicon Valley, when she chided the “Lean In” movement launched by embattled Facebook executive Sheryl Sandberg. In case you need a refresher, Lean In (also the title of Sandberg’s book) told women they had to grab opportunities in the workplace, and push past a patriarchal system that was holding them back from leadership positions. Ms Obama, who’s been a working mother since her two daughters were born, wasn’t having any of it. That’s not the only headline she has made. Ms Obama’s book talks candidly about her inability to get pregnant, sending her to explore in vitro fertilisation (IVF). And, she talks about being angry at Donald Trump’s allegations that her husband was not born in the US. It’s not a bland book by any means, the way some First Ladies’ memoirs have been. I’ve always thought that some of these books tend to be “diary dumps”, where the spouses go through their calendars and just write down their chronological impressions. But throughout Becoming, Ms Obama’s voice is authentic, and there’s no effort to sugar coat her story. I scoured the cover and acknowledgements for signs of a ghost writer, but it appears to be her own work. Could she run for office? Ms Obama insists she won’t run for office, but just imagine if she did. The reaction to her book tour shows she has an ample female — and male — fan base, from all backgrounds, who would enthusiastically campaign on her behalf. There’s really no limit to what Ms Obama can do, now that she’s written and launched Becoming. 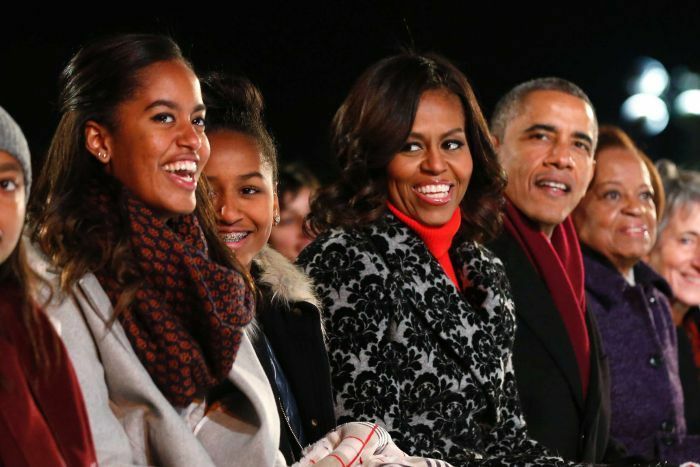 The Obamas have partnered with Netflix on a storytelling project, and they’re developing the Barack Obama Presidential Centre, which will contain a museum, library and public spaces, on Chicago’s South Side, not far from the home they own, and the neighbourhood where she grew up. With Becoming, Ms Obama shows that like her husband she has a role in the discussion about the country, and a hope for its future. Micheline Maynard is an American journalist and author.